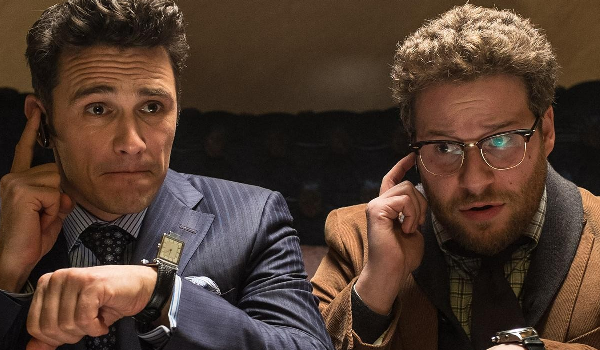 The cobbled-together simultaneous release of Sony's The Interview is a Rorschach test. What you see generally tells more about you than it does about the release model of The Interview. Those inclined to believe that simultaneous theatrical and home release is inevitable point to its $31 million home tally and $5.9 million theatrical take (through January 14, 2015) and see a "game changer." Some, like me, see a blot. Netflix's Ted Sarandos sees a "great example of what can happen with a big-budget movie if you give them distribution choices. I hope it's eye-opening for the industry." For once, we agree. So let's open some eyes. Many industry analysts noted exhibition's oft-stated resistance to simultaneous release, pointing to the DirecTV early premium video-on-demand plan in 2011 and the canceled Tower Heist plan to offer the movie on VOD three weeks after its theatrical debut for $59.99. Several major exhibition companies announced that they would not play the movie under those circumstances, and Universal shelved the plan. What happened when Sony announced it would be offering The Interview simultaneously in the home to accompany its Christmas theatrical release? Several major exhibition companies announced they would not play it under those circumstances. 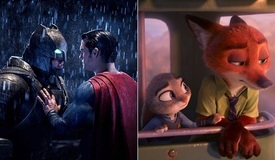 The movie played on 331 screens in its opening week--roughly the same number that were willing to play other, less well-known simultaneous releases. Some analysts grew starry-eyed at the double-digit millions taken from the home market and compared it to the lower profile Snowpiercer and Arbitrage, which took in $14 million and $11 million on VOD, respectively. These same analysts also generally neglected to note that the record holder for VOD and digital release is Bridesmaids, which took in $40 million after its traditional theatrical release grossed $169 million domestically. Given the patriotic upsurge and massive media attention that accompanied the unusual release of The Interview, the $2.9 million in theatrical box office over the first four days was not good. Five other movies in release at the same time had higher per-screen averages, despite the fact that they played on more screens and didn't have the massive media attention. Nor did the theatrical release perform well in the second week. Despite an increase in screens of 75 percent, box office declined 40 percent. This was the case with Snowpiercer, which fell 37 percent while its screens increased more than 42 percent the same weekend it became available on VOD. What was a bit surprising was the fact that The Interview's VOD revenues decreased after its opening four days, despite being available on enormously more outlets when it expanded to iTunes and cable VOD platforms around the country. The movie took in $15 million in its first four days. It took in $16 million in the next seven. Another constant argument against simultaneous release is the erosion of value in the home market. Theatrical release has maintained a steady, modestly growing price point for years, and the pricing is per patron. Once any movie goes into the home market, it is immediately thrown into a world where price trumps nearly every other factor. The Interview is no different. The movie was offered at two price points in the home, $5.99 for rental or $14.99 for purchase. Using Sony's announced revenue and transaction figures of $31 million and 4.3 million downloads, we get an average purchase price of $7.20. The transactions clearly skewed to the lower end of the pricing spectrum. The Wall Street Journal made an algebra problem out of it and arrived at 3.72 million opting for rental and 577,000 springing for ownership. Further complicating the math, though, is that no one knows how many people those 4.3 million transactions represent. Some people organized viewing parties to support free speech-much as moviegoers went in groups to see the theatrical release--but we simply don't know how many people watched the average download. Was it two? Three? Suddenly that $7.20 per download becomes $3.60 per viewer or maybe $2.40. Just as a point of comparison, the average theatrical ticket price stood at $8.12 through the end of the third quarter of 2014. The only game changed here was just how much money Sony left on the table. An argument that is regularly advanced in favor of a shortened theatrical window is the so-called "piracy window," despite the fact that piracy increases with the availability and awareness of legitimate release and trails off the same way legitimate releases do the longer they are in the marketplace. By the end of 2014, The Interview had been downloaded from torrent sites roughly 2.5 million times. This does not count the unknown number of times the movie was watched by people whose friends had purchased the movie and shared shockingly reusable links to the movie. When we consider whether or not the game has been changed, let's remember what the game really is. Sony invested a certain amount of money in The Interview with the intention of making a certain amount back. How much did they invest, and how much are they likely to get back? Now, Hollywood budgets are slippery and elusive things, but it is generally accepted (in part due to hacked e-mails released online) that The Interview's production budget was $44 million, and that Sony spent an additional $30 million (some estimate $40 million) on marketing. 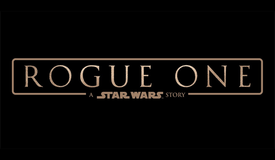 The initial intent was to open the movie on approximately 3,800 screens, which suggests a certain confidence in its box office appeal. 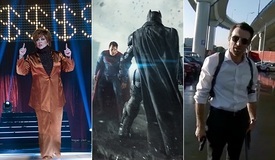 Most industry analysts predicted a four-day-holiday gross of around $25 million (a few went as high as $30 million). Here things get a little speculative. To be conservative we can assume a final gross of two-and-a-half times opening weekend--not atypical of many major releases. With a $25 million opening, that gets you to $62.5 million. Holiday releases tend to have a better multiple, but again, it's tricky. Movie City News's David Poland, with his usual insightful understanding of movies' financial performance, suggests averaging the box office of Seth Rogen's comedies since Pineapple Express, which gives us $72 million (which he considers low, given the last two of Rogen's movies topped $100 million). Assume 50 percent goes back to Sony, and we are at $36 million--almost halfway there. 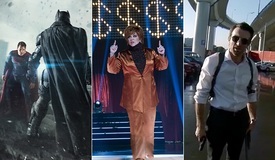 Using the international average grosses of those same movies brings another $20 million (and, by the way, the international markets Sony has announced for The Interview will be traditional theatrical releases) or, assuming a really generous for international split of 50 percent, another $10 million back to Sony. Now we're at $46 million. The average theatrical release takes in roughly 60 percent of domestic box office in the home market these days-some do far worse; Neighbors managed only about 16 percent in disc sales, with rentals unknown--but it seems like a fair estimate. That's another $43 million, of which about 70 percent would return to Sony--$30 million. Basically breakeven--$76 million in, versus $74 million out. This is before we get into pay TV and Netflix streaming and so on. 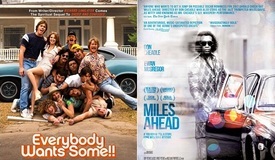 Now let's compare the traditional theatrical-release model to the simultaneous release used by Sony. As the current release plan stands, Sony can expect roughly $3.5 million from domestic theatrical (assuming a final gross of $7 million). We haven't heard any new digital dollar figures from Sony since January 4, so it's a little hard to estimate where it will end up, but I'm feeling generous. Say $50 million. Given the chaotic nature of the ad hoc release plan and Sony's desperation to play the movie on any home-release platform that would take it, I'm going to assume, less generously, that Sony pockets 60 percent of that sum (instead of the customary 70 percent)--$30 million. Let's be generous again and assume the same international box office that might have resulted from a traditional release--although with so many pirated pristine digital copies out in the wild, that may be tough. Add $10 million. We're at $43.5 million, and it has already had a home release. Frankly, the waters here are uncharted. Premium cable usually bases what they'll pay on theatrical performance--how do you measure that? Sony has announced a DVD/Blu-Ray release for February 17--what kind of disc sales and rentals will you get when it has already been in the home? In this simultaneous-release game, Sony is $30 million in the hole and almost out of cards. After a few weeks of giddiness-one online piece for Time titled "Sony Has Almost Made Its Money Back on The Interview," seemed to believe that the studio keeps every penny consumers spent on it--others acknowledged the movie wasn't anywhere near recoupment but touted the change in "perception" of the idea of simultaneous release. In a Fast Company article titled, yes, "The Interview Is A VOD Perception-Changer, Not A VOD Game-Changer," producer John Sloss--whom you may remember from my November column on simultaneous release (Ted, John--we're getting the band back together!) and whose movie Boyhood did quite well in a traditional theatrical release (more than $23 million)--seems to believe the example it provides is something like "eye-opening." "It shines a light on the possibility," says John Sloss, the indie film sales agent and lawyer who was a producer on this year's awards movie Boyhood. "But it's a complete anomaly." Kind of like Schrödinger's cat. Simultaneous release either works or it doesn't, but to an observer like John Sloss it's possible both are true--until you look at it. One observer who doesn't view this release as a game changer? Sony CEO Michael Lynton. In an extensive interview with the Associated Press, Lynton said the studio views the release of a film on on-demand video and in independent theaters as "still experimental." "You would never take a movie of this size and do what we did with it in the end," Lynton said. "It's true, it proved to be that kind of experiment, but it certainly wasn't planned." The theatrical experience is important, Lynton said, especially for comedy "because people love to laugh with each other." "Had this not come along the way it had, we would've proceeded exactly the way we planned to do it, which is to put it out on 3,500-plus screens."